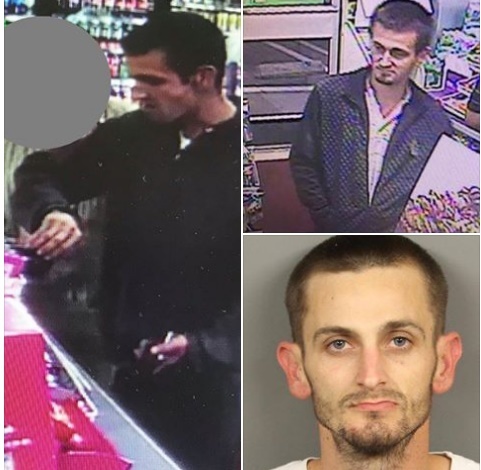 Thanks to some clear surveillance pictures, and social media, Roseville Police were able to apprehend a man suspected of stealing credit cards. Roseville Police announced that Daniel Ryan Peterson, 29, of Roseville, California was arrested on suspicion of possessing using stolen credit cards. Peterson reportedly took the credit cards from vehicles parked in residential garages where the doors had been accidentally left open overnight. After stealing the credit cards, Peterson used them at a local store where his image was captured. Once RPD obtained the pictures of Peterson, they were immediately posted to their Facebook page where a tip on his identity led to his arrest. On Tuesday, October 31, detectives arrested Peterson on suspicion of fraudulent use of credit cards, being a felon in possession of pepper spray, and possession of drug paraphernalia. During the arrest, they also recovered a laptop computer stolen from a car in Citrus Heights. No Comment to " Social Media Helps Roseville Police Capture Man Suspected of Stealing Credit Cards "